Storm was placed on the bed by Drake after warping with the warp tile. "It still feels rather odd to warp, maybe it's just the wound..."
"I wasn't aware that there were healing machines for people too..."
"I've only read about the ones used in Pokémon centers that completely restore a Pokémon's health." The lamp turned on and Storm experienced an odd sensation while the wound slowly started to close. "Well, I am kind of tempted to look." "Heh, I suppose that I'll just stare at you." "Thank you for all of your help for a stranger like me." "You weren't kidding...One really does become hungry from this." Drake nodded and continued to monitor the wound as it closed, "I'll whip you up a sandwich ( a big one ) after this is done here "
He nodded and then turned off the machine and rolled it back into place " Alright your all done, good as new, though I want to keep you here and monitor you for at least today and tomorrow morning before I give you a clean bill of health"
Drake then handed Storm his cane and asked if he could walk, and how he feeled. "Whatcya reading about there Rolu?" Last edited by Prof.Enigma; 03-14-2019 at 10:24 AM.
" Agreed, both you and your Pokemon did well, - Drake nodded and went over by the healing pad to check on Wolfe, then nodded again when he snuggled up with Delia. Drake motioned and showed everyone present how to operate the warp pads. "Alright, now let us get done to some more business, that is if you are ready Keith, and if your Pokemon are?" " Ah, no no no, not to be rude, I am sure you are more than capable of takin it to the elevator, but Luna can teleport us all up to the top with little to no effort, and also you two are still our guests, we cannot make you do all of the hard work "
"Don't worry we will be up there quick"
And no sooner had she said that, then all three of them and the chest of goodies suddenly disappeared and reappeared in the base within the entry way from which they came. "Well what do you guys wanna do now?" Keith nodded as Drake explained about the healing pads and the warp pads. He and his Pokémon also paid attention as Drake showed them how to operate the warp pads- it seemed a different sort of system than the warp panels Keith had back home. These could be set to warp you to a specific spot, rather than each warp panel having a predetermined destination. At Drake's question, Keith turned to his Chesnaught and Wobbuffet. "What do you guys think?" he asked. "Dey're both kinda worn out," Meowth translated. "Dey're tinkin' dey might wanna rest up at home, actually." "After a battle like that, can't say I'm surprised," Keith nodded. "Alright, come back now, both of you," he added, holding out Manchin's Poké Ball and Smiley's Luxury Ball. Once the Chesnaught and Wobbuffet were withdrawn, Keith produced his Pokédex- the classic HANDY505 model with a Koffing purple shell and a Koffing Smog yellow skull and crossbones on the cover- and pressed a few buttons, activating the storage system function. With a few button presses, Smiley and Manchin were sent back to the Poisonous Paradise, and in place of their balls, there appeared two new ones- a Level Ball and a Premier Ball. "All set," he reported to Drake. Lelo saw exactly what Tinnitus was getting at, but reassured him that this wasn't due to underestimating him in any capacity- rather, Lelo was doing this to be considerate to the guests. Tinnitus nodded, satisfied with this explanation, and smiled his appreciation of such consideration. And sure enough, true to Lelo's word, the Lunatone showed up and instantly took them all back to the Secret Base. "Hmm," Neville murmured. "Why don't we see how Keith is doing? If there's battling going on, I wouldn't mind getting in on it." Tinnitus nodded his emphatic agreement. Drake nodded then stepped up on the warp panel and dissipated in a well... it looked like he glitched like a video game would, turning into pixels and disappearing to the library supposedly. While you soon got on and followed Drake through to the library, Drake either was really fast setting his research out, or he had it set up before hand, most likely the latter. "My sister and I gathered as much data as possible in Fizzy bubbles to triangulate where the possible admins would go to, Most of them probably had their own separate ideas of what they wanted to do once they escaped, but a few may team up with others to get their goals complete.
" Currently we only have speculation about them, as they have been relatively undercover in terms of them being here. With your aid and the aid of potential other members we could flush them out, and or capture them, But out number one threat is Persephone, there appears to not be a major villain group in this world with her at the head so she has the upper hand as most of the cops and international police and rangers of this world have never heard of her, and thus have no records of her. " "She is the number one admin we have to watch out for as she used to be a Balance Member that had gotten captured early on and brainwashed. We may be able to turn her back, but until then she will be looking to shut us down and out first before she puts any plans into motion. " "Do you have any questions before I move on"
Lelo nodded and led the way to the battle arena through the stairs, leaving the chest where it was, though grabbing one last gummi before walking away. Down in the basement, all of you found Delia and Wolfe left on the healing pad, but while wolfe looked extremely tired, he perked his head up. "You guys just missed the battle, between Jack, Meowth and Queenie and Voltsy. As well as my match veruses Manchin and Smiley, Who both evovled in the middle of our fight"
"Drake and Keith should be in the library now, you can use the warp panel to go and be with them if you want, Keith sent Manchin and Smiley back to the Poisionus paradise to rest up too"
Drake rolled the machine back after the wound closed. "I see, I'll take it slow, then." "Thank you very much for letting me stay a little longer, I've really been starting to like it here." Storm took his cane and took a few shaky steps. "I might need to lean on you too if I end up falling over." "I hope that you don't mind." Wolfe approached Rolu to ask him about the book he was reading. Rolu took a little while before looking up. "Pokemon Eggs and their origins..."
"I've...Never seen any Eggs myself and I've been really interested by them." When Keith and Drake got to the library, the former saw that the latter had his research all set up already, and Drake got right into it. Together with his sister, they'd gathered data throughout Fizzytopia to figure out where the admins might go. At the moment, however, they had nothing concrete to go off of- the admins had been pretty good about keeping to themselves, flying below the radar. Drake was relying on Keith, and possibly other members as well, to help flush them out, or even possibly capture them. Keith nodded, absolutely willing to help with this. But then, Drake warned them of their number one threat- Persephone. An admin with no ties to other villainous organizations (in this universe, anyway), making her that much harder to track. What made her so dangerous was that she used to be a member of Balance, but she'd gotten captured and brainwashed. Keith and Meowth exchanged horrified looks. Drake forestalled Keith's first question by answering it- stating that it might be possible to turn her back- but he also stressed that until such time, she'd be trying to shut down Balance first and foremost. Once the time came for questions, Keith had to think about it for a second. The possibility of reverting the brainwashing was honestly the only thing that had come to mind thus far. But all it took was him trying to think like his Pawniard to think of a question. "...is there anything about this Persephone I should look out for?" he asked. "Any way I would know her if I saw her so she couldn't catch me off guard?" Neville and Tinnitus exchanged surprised looks at the news that both Manchin and Smiley had evolved during their battle. However, Wolfe stated that they could go and meet up with Keith in the library. "Sure, thank you," the Dragalge nodded politely, the Seismitoad silently following suit. The pair of aquatic Pokémon headed to the warp panel. "Yes, she is notable for how her hair is so stark white and how long it is and how it curls around her back, trust me you will know it when you see her, she also wears red and black themed clothing basse d off of Darkrai, she idolized it in Purity after she was forced to change"
" She is and was a Dark type specialist and also mi xes in ghost types with her aces being a Spiritomb and Zoroark. As well as a separate form called Delta's but that's not important right at this exact moment "
"Hey little cutey, get up here"
"Queenie usually makes extra because I get munchy all the time so there should be left over pancakes in the fridge that just need reheating if that's alright with you?" " do you know how they are made right? " Drake described Persephone, and the way he did so, Keith knew he'd recognize her immediately, dressed up like a Darkrai, white hair, and packing powerful Dark-types mixed with the odd Ghost-type. Also, Keith knew he could expect to see Mega Evolutions that didn't exist in this dimension from her. All in all, it added up to what would surely be a tough battle if ever they met. At that point, Lelo, Neville, and Tinnitus reappeared, with the Poochyena running right over to Drake, and the other two going over to Keith. "Hey, you two," Keith grinned. "You have fun?" "Galgeeeeee!" nodded Neville. Tinnitus nodded as well, letting off vibrations that gave off a feeling of distinct happiness. Keith nodded his satisfaction at this, but before any more could be said, a thump could be heard, followed by a rattling sound. Both sounds might have been muffled, but they were pretty distinct nonetheless. Keith tensed up and looked around warily as Meowth gripped his shoulder tighter (not using his claws, thank Arceus). "What the Shuckle was that?" demanded Jack. "Dunno," Keith murmured. He turned to Drake. "Was that sound... y'know... supposed to happen or something, or is it something we ought to be investigating?" Drake took off running for the stairs "that was Wolfe's howl!" Lelo wasn't far behind him, And with the power off, the panels didn't work so he couldn't get there fast other than by running. Not long after Drake left there was a very loud and audible boom that shook the whole base, the shock-wave knocking over lots and lots of books in the Library and was enough to make you loose your balance slightly. This was no ordinary power outage or storm, this was an attack on the base. But before you could dash off to aid Drake or anything like that, you were attacked by masked people. Kabuki masked people. At least three of them. Who each had at least one pokemon that they used to attack you with. Meanwhile out on the roof, two women smiled to each other, Haze swirling around them masking who they were, but two features stood out if one were to look at them. They appeared to be sisters even though one had stark white hair. Before Drake could answer, the power cut off throughout the base, and a howl sounded throughout- Wolfe's howl. Drake and Lelo took off running- they had to run the warp panels no longer being an option without the power working. "Dis ain't good," Meowth murmured. And just then, an explosion rocked the base! Keith stumbled around in an attempt to keep his balance like a Spinda with a cool hat, and a number of books fell off the shelves. "A-a-a thunderstorm?" Meowth murmured hopefully. Keith shook his head. This was no weather phenomenon. Somehow he knew, this was the sign of people breaking in- Purity members, no doubt, attempting an invasion- an insurgence, if you will- upon the base. He ran off after Drake- or would have done so, were it not for the trio of masked people suddenly barring his way. Saying nothing, they each lobbed an Ultra Ball simultaneously, sending out a trio of powerful-looking Pokémon that were clearly meant to attack Keith. The leftmost Pokémon stood on all fours for a second, but proved easily capable of going bipedal by doing just that, its blue body adorned by several fins. 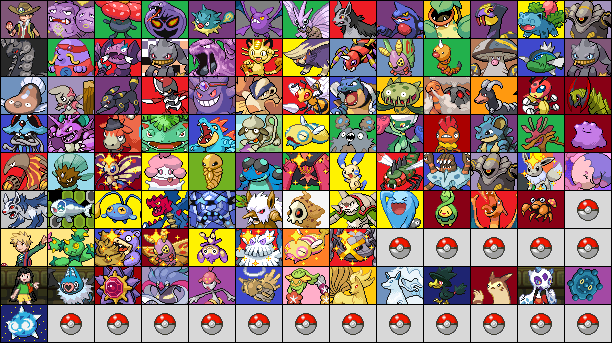 The rightmost Pokémon was a species Keith was all too familiar with- a Missingno.! And sandwiched between them was something that looked vaguely familiar- Keith knew this to be a Lycanroc, having seen one of each form back when he'd helped to take back Cloud Garden from the invading Ice-types, but this one looked like an off-color Midday form. Keith almost thought it was Shiny, but it didn't sparkle, and also, its mane looked different. Producing his Pokédex, Keith pointed it at everything present that wasn't a Missingno. "Swampert, the Mud Fish Pokémon. A Water and Ground-type, and the evolved form of Marshtomp," droned the device. "Extremely strong, Swampert has the power to easily drag a boulder weighing over a ton. Its powerful vision lets it see clearly in murky water." Then, he turned it on the unusual Lycanroc. "Lycanroc- Dusk Form- the Wolf Pokémon. A Rock-type, and the evolved form of Rockruff. A rare phenomenon that is the result of a Rockruff evolving at sundown, the Dusk Form of Lycanroc combines qualities of the Midday and Midnight Forms." "Oh, geez," Keith muttered. "Well, no choice but to battle!" he declared, producing the Level Ball and Luxury Ball. "Go, Kyle! Go, Eon!" he exclaimed throwing them both. The Pokémon materialized in a flash of light. "Mor!" declared Kyle. "Ooeevee!" added Eon as sparkles swirled around her white fur. Keith turned to the Normal-type on his shoulder. "You get in there too, Meowth," he added. Meowth nodded- much as he didn't want in on this, he could tell this was too serious a situation to be lazy. "Youse gots it," he agreed, jumping down and brandishing his claws. Just then, Keith felt someone grabbing his Z-Ring! He exclaimed loudly and turned, only to see Jack swapping out the Poisonium Z for... something else? "What the-" he began. "Knew I did the right thing, borrowing a few of Drake's Z-Crystals before we came back up here," stated the Ditto. "Here, use this one, and use it right now." Keith looked at the Z-Crystal set into his Z-Ring. It was brown, with a symbol set into it that looked almost like... an Eevee's tail? "Is this what I think it is?" he murmured. "Oh, yeah," grinned Jack. "Exactly what you been after- Eevium Z. I take it you know what to do?" Keith nodded. Ever since his research had confirmed his suspicions that an Eevee-specific Z-Crystal existed, he found out everything he could about it- the requisite poses, the required base move, and the name of the special Z-Move. One of the intruders called out, "Attack!" to his Swampert. Swampert lumbered forward, entire right Arm aglow as he prepared to swing it like a Hammer right into Eon. But Keith was already moving his arms. "Let's go, now, Eon!" he exclaimed, the Eevium Z gleaming brightly. "Ooeeeeee!" responded Eon. Startled, Swampert hesitated. "VEEEEEE!" Eon called out boldly as the Z-Power flowed into her. She could feel it- Her Last Resort move was now anything but, and the power welling up within her was just waiting to manifest itself into something incredible. Keith grinned confidently. "Use Extreme Evoboost!!!" Eon surrounded itself with its Z-Power! Eon unleashes its full-force Z-Move! Beads of multicolored light formed in a circle all around Eon. Eight of them, specifically. They grew larger as they floated farther away, and suddenly, each one took the form of a holographic Eeveelution- the yellow one took the shape of a Jolteon, the black one took the shape of an Umbreon, and so forth. Then, at Eon's cry, all eight holographic Eeveelutions shot a beam of energy at Eon. And far from taking damage from this, Eon was absorbing the energy, powering up, and the holograms dissipated as the last of the energy flowed into Eon. "VUI!" Eon exclaimed, opening her eyes. She was now considerably more powerful. Faster, stronger, everything. "Enough!" snapped the middle intruder. "Lycanroc, Accelerock on the Heatmor!" "Swampert, Hammer Arm on the Eevee!" added the left intruder. "Missingno., use Submission on Meowth!" the remaining intruder commanded. "Eon, use Camouflage!" Keith ordered. "Kyle, Protect! Meowth, use Zap Cannon!" Eon seemed to disappear completely, though those observing closely would see she simply changed color to blend in with her surroundings. Her color changed back to normal as Swampert's Hammer Arm landed, but it didn't do much damage- having been standing on the wooden floor, Eon had turned into the Grass type, thus losing her weakness to Fighting! Kyle, meanwhile, erected a defensive barrier to completely block Lycanroc's move, and Meowth unleashed a powerful orb of electricity at point-blank range at the oncoming Missingno., sending it flying backwards. Keith grinned, taking charge of the battle at once. "Eon, use Seed Bomb on Swampert!" he ordered. "Kyle, use Focus Blast on Lycanroc! Meowth, use Power-Up Punch on Missingno.!" "Protect!" exclaimed the Swampert's Trainer. "Use Rock Slide!" ordered the Lycanroc's Trainer. "Intercept and use Seismic Toss!" commanded the Missingno. 's Trainer. Eon fired off some supercharged explosive seeds, but Swampert deflected them all. Meanwhile, Lycanroc fired off a deluge of rocks to try and counter the Focus Blast, but the Fighting move blasted through them all and landed, dealing heavy damage to Lycanroc as a result. And Missingno. sprouted a strange pixelly tentacle that grabbed Meowth before the Power-Up Punch could land. Missingno. then flew up and started to fly in circles, building up more and more momentum. "WA-A-A-AH!" Meowth exclaimed as this happened. "GET ME OFFA DIS RIDE!" "Free yourself with Swift!" Keith ordered. At once, Meowth shot off a number of star-shaped rays that honed in on the tentacle holding him. "MissIIIIING!" Missingno. cried out in pain as he was forced to drop Meowth. But Meowth, thinking quickly, grabbed the tentacle, and climbed up on it, getting on top of Missingno. "Way to go!" Keith cheered. "Now, Meowth! Fury Swipes, let's go!" "Toss Meowth off!" bellowed the Missingno. 's Trainer. 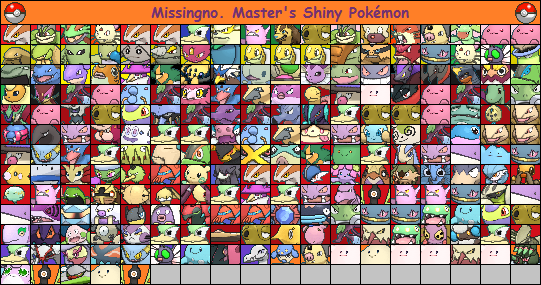 But Missingno. 's paralysis reared its ugly head at that moment, and Missingno. started floating towards the ground as Meowth swiped away at its back. Meanwhile, Lycanroc and Swampert were advancing on Kyle and Eon. "Lycanroc, use Crunch on Eevee!" ordered the Lycanroc's Trainer. "Swampert, use Hydro Cannon on Heatmor!" added the Swampert's Trainer. "It won't work!" Keith exclaimed. "Eon, use Seed Bomb!" "Oooeeee... VEEE!" exclaimed Eon, firing off another volley of seeds. Swampert had no time to charge up the Hydro Cannon before the attack landed, each seed exploding with great force on contact, and when the dust settled, Swampert was totally knocked out. At the same time, Meowth jumped off of an equally unconscious Missingno. Lycanroc was advancing on Eon, fangs bared, but Keith was ready. "Sucker Punch!" he ordered. "Mor!" grunted Kyle, charging forward, claws glowing black. With deft movements, he blindsided Lycanroc and landed a powerful blow that knocked him to the floor. "Let's finish it off!" Keith declared. "Eon, Meowth, use Water Pulse! Kyle, Hidden Power!" Lycanroc barely had a chance to get back on his feet before the three super effective attacks landed, and to nobody's surprise at all, he was knocked clean out. Wordlessly, the intruders withdrew their unconscious Pokémon and made a hasty retreat. Keith withdrew Kyle and Eon, and with Jack at his side and Meowth on his shoulder, they ran off to try and see if they could assist Drake. "Oh, yeah," grinned Jack. "Exactly what you were after- Eevium Z. I take it you know what to do?" Eon seemed to disappear completely, though those observing closely would see she simply changed color to blend in with her surroundings. Her color changed back to normal as Swampert's Hammer Arm landed, but it didn't do much damage- having been standing on the wooden floor, Eon had turned into the Grass-type, thus losing her weakness to Fighting! Kyle, meanwhile, erected a defensive barrier to completely block Lycanroc's move, and Meowth unleashed a powerful orb of electricity at point-blank range at the oncoming Missingno., sending it flying backwards. "Intercept and use Seismic Toss!" commanded the Missingno. 's, Trainer. But Missingno. 's paralysis reared its ugly head at that moment and Missingno. started floating towards the ground as Meowth swiped away at its back. You defeated the Kabuki masked grunts and sent them scuttling and you dashed out of the Library after taking your pokemon with you. However, the direct path to the North Wing and entrance was blocked off, parts of the ceiling falling off and stacking up in a monumental pile... Thinking about it and how to clear it would take too long, and you didn't know if there could have been wild pokemon or some of Drake's pokemon on the other side. Thankfully there was an opening in the wall connecting the Medical Bay and the South Wing, allowing you to go through the Eastern Wing and not have to go directly outside. Here there was an active warp pad ( somehow it was active ) wait wouldn't Drake install a generator in this area in case the power went out? You could hear the sounds of pokemon fighting, and some minor explosions and could feel the mansion shake with all of the fightings. With the grunts defeated and fleeing, Keith was running off. Another grunt barred his way, this one with a Rhyperior. Keith was quick to act, throwing a Great Ball. "Tinnitus, Bubble Beam!" he exclaimed. The Seismitoad appeared, wordlessly and powerfully spraying foam at the Rhyperior, who took heavy damage, but was still standing. "Horn Drill!" ordered the grunt. Rhyperior stomped forward, horn spinning like a drill, while Tinnitus surrounded himself with water and charged forward, easily overpowering the Ground/Rock-type and knocking him out. The grunt withdrew Rhyperior and fled, at which point Keith withdrew Tinnitus and continued to run. He got pretty far but found that the path to the entrance was blocked by fallen rubble. But a hole in the wall, he noticed, would let him go through the Eastern Wing. Strangely, there was an active warp panel here. "How da-" began Meowth. "Drake must've had a backup generator in this area, and thank Arceus he did," stated Keith. "OK, seems like we can go pretty much anywhere in the base from here..."
"The basement!" exclaimed Jack. "Ain't that where Wolfe's been? Drake's probably there, too!" "Yeah, and he's likely in big danger if dese is really Purify membas!" Meowth added. "Deir mind control don't work on him, and he's too big a threat fer dem ta leave alone, so-"
"Say no more!" Keith interrupted, already setting the warp panel to take them to the basement. "Thank you for your support, Drake." "Pancakes sound delicious, even when reheated." Storm just took a good look at Drake when they used the warp panel. It was more of a stare, actually. Though not harsh, just observing. "No...I don't know how eggs are made." "This book doesn't seem to give answer either, saying that they just appear out of nowhere." Rolu just walked back and forth for a bit. You set up the warp panel to take you to the basement, and take you it did, pixelating you and your pokemon to where you all had been just mineuts before. The whole room was trashed if that was even possible, the fornerly neat shelves lined up with battle items were tipped over on to their sides, a lot of the Z - Crystals and Mega Stones spilled everywhere, some even were cracked and broken from the looks of it. A glance at the stairs showed that they were blocked off, by crumbled floors above. But in the back of the room there was a huge gaping hole that led to the outside where alternate flashes of light were flashing throught the Haze that surrounded the base. As you walked through the room you saw no signs of blood or pokemon attacks, which was good and alarming for it could mean they dragged drake outside along with his pokemon. Worried, you raced to the hole and you were greeted by the sight of Drake alive and well along with his pokemon, fighting the very woman you two had been talking about. Drake and Wolfe were in their bond mode, but it looks as if Drake rushed Wolfe's evolution with a stone for he mentioned he only had one synthetic stone at the moment. Drake was fighting alongside Wolfe, fending off and beating at least five separate pokemon from Persephone and a grunt or two. His other pokemon were figting along side eachother against other grunts spread out through the backyard, with what looked to be the wild residents of GateWay Base. But before you could run out to aid Drake, you yourself were blasted back into the base from an attack above that none of you saw coming. "I cannot let you aid Drake in defeating my sister, so you will be our opponet." The womans voice said as she walked inside to you, accompanied with a Gothetelle and a few grunts. Drake noted how Storm was staring, and blushed a little but said nothing as they pixelated put of the medical bay and into the kitchens, once more.
" There you go Storm, eat up, cause then I have a few questions to ask you. " He said after setting a plate of reheated pancakes with syrup and butter. Wolfe nodded, he knew that the book Rolu was reading was meant for little children and pokemon, and obviously did not state what really went on, nor was wolfe going to be the one to tell him though he thought. "Well what are your thoughts?" The warp panel did its work, and Keith, Meowth, and Jack were whisked away to the basement faster than you can say "TM30". That, however, was where the good news ended, for a scene of devastation awaited them as they arrived. "Arceus, Mew, and Helix," Keith murmured as he looked around. "Dis place has been trashed!" Meowth whispered. "Come on!" Jack urged them, pointing to a hole in the back of the room. A Haze could be seen, with the occasional flash of light. Keith rushed after Jack, and they were able to see, contrary to their concerns, that Drake was alive and well. Wolfe seemed to be an Arcanine once more, but Keith remembered Drake saying he only had the one synthetic Fire Stone, so he figured this must be the real deal. Besides that, one of Drake's opponents looked to be that Persephone person, but before any of them could come to Drake's assistance, an attack blasted them back into the base. "Gah!" Keith exclaimed, just as a woman walked inside. She was accompanied by a Gothitelle and a couple of grunts. And she identified Persephone as her sister right away, stating she would fight Keith to keep him from coming to Drake's aid. "Alright, we'll see where that gets you," Keith retorted, Level Ball already in hand and enlarged. "Kyle, use Flame Charge!" he exclaimed, and as the Heatmor appeared, he was already cloaked in fire as he sped towards Gothitelle. Jack and Meowth, meanwhile, stood at the ready to take on the grunts, the former turning back into his usual gelatinous form, the latter with his claws out, ready for action. She walked over to a shelf and sat on it, her gothitelle sitting with her then she took a emery board out and began to file her already perfect manicured nails.
" Perhaps my incompentent former friend explained to you my sister, but do you have any idea as to who I may be? - She watched you fight her grunts while she spoke and you could hear more louder explosions and cries of the pratcical war going on outside the base. As it turned out, the woman was not about to get in on the action just yet, but rather let her grunts have all the fun first off. Kyle's Flame Charge did not hit Gothitelle, but rather made contact with the big belly of one of the Grunts' Magmortar! The other two Grunts had sent out their Pokémon as well- a Diggersby and a Hitmonchan. "Hey," Keith retorted at the woman as she asked, quite rudely, if Drake had bothered to mention who she was. "You wanted to wait your turn, wait your turn. Meowth, use Power-Up Punch on Diggersby! Kyle, use Fire Lash on Magmortar! Jack-"
"I got this," interrupted the Ditto, before glowing brightly and proceeding to Transform. However, to Keith's utter astonishment, Jack turned into what appeared to be none other than the Mythical Pokémon Mew! "Wh- what the-" Keith began. His mouth had fell open in shock at this- Jack had never seen Mew in person before! Had he? Nah, I ain't, Jack replied- with telepathy, which was new for him. But being what I am, and with Drake being what he is and in close proximity, I had a feeling this'd be possible. Speaking of which, check your pockets. Keith did so, and quickly realized Jack had planted another Z-Crystal on him. Suitably impressed by this, Keith continued. "Alright, then, Jack, blast Hitmonchan with Psychic!" "Diggersby, Hammer Arm!" bellowed one of the Grunts. "Magmortar, use Flamethrower!" added another Grunt. "Hitmonchan! Bullet Punch!" commanded the remaining Grunt. Diggersby swung a muscular ear Meowth's way, the two attacks clashing momentarily before Hammer Arm sent Meowth flying backwards. Kyle fared much better, however, Flash Fire allowing him to actively benefit from Magmortar's move and retaliate with a souped up Fire Lash. And Jack, in the shape of Mew, was proving quite competent against Hitmonchan, telekinetically blasting it back and stopping the Bullet Punch before it started. "Hah!" grinned the Diggersby's Trainer. "Now use Quick Attack!" "Meowth, use Foul Play!" Keith ordered as Diggersby came charging in. Meowth jumped up landing nimbly on Diggersby's back. "Hey, I'm ova here, ya big lunk!" he taunted. "Diggers," growled Diggersby. He took a powerful swing with one of his ears, but with Meowth jumping off in time, Diggersby landed a powerful blow on itself instead! "Let's keep this moving!" Keith exclaimed, now grinning. "Meowth, Dark Pulse! Kyle, use Thunder Punch! Jack, Aerial Ace!" "All right, Diggersby- Rock Slide!" commanded- well, which Grunt do you think at this point?! "Diggerrrrs.... BYYYYY!" exclaimed Digggersby. Spreading his powerful ears wide, Diggersby summoned numerous large rocks, and sent them tumbling at Meowth, Kyle, and Jack, landing a powerful blow on all three of them at once. "Heheh," smirked the Hitmonchan's Trainer. "We'll use Rock Slide as well." "Hitmon... CHAN CHAN CHAN!" Hitmonchan exclaimed, adding on to the rocky deluge. "Oh, geez," Keith murmured as his three Pokémon struggled from beneath the numerous rocks. "Meowth, Kyle, Jack!" Thankfully, the three of them emerged from the rubble without looking too worse off, but by that point, Magmortar was looming over them quite ominously. "Rock Tomb!" exclaimed the remaining Grunt. "I don't think so!" Keith exclaimed suddenly. "Jack, we'll use Rock Tomb as well!" "Mewwwwwwwwwwwwww," squealed Jack, gathering all the rocks up overhead. Magmortar made to charge up a rock itself, but that was sucked into Jack's move instead. Then, Jack slammed the mass of boulders down onto Magmortar. How that didn't straight-up knock it out Keith didn't know, but there was definite damage done, so he'd take it. Just then, Keith saw flashes in his mind. A memory- the time he gave Terri his Psychium Z and taught her the poses to use it. Same poses. Do it now. It was Jack. Keith realized in an instant that with his borrowed powers, Jack had made that memory play back in Keith's mind and told him to use those poses to activate the Z-Crystal he'd given him. As Keith swapped out the borrowed Eevium Z in his Z-Ring for the strikingly pink Z-Crystal, Jack even piped up again, telling Keith the name of the Z-Move. "Here we go!" Keith exclaimed, moving his arms. Light shone from his Z-Ring as the borrowed Mewnium Z started to generate Z-Power. "Mew!" squeaked Jack as he started flying in circles. "Our minds, our spirits, linked as one!" Keith exclaimed as he moved. "The great power of the origin- of the New Species! An unfathomable energy, straight from under the truck!" "Mewwww~" Jack exclaimed in response, now flying up high. "It's time to make your mama proud, Jack!" Keith grinned. "Use Genesis Supernova!!!" Jack surrounded itself with its Z-Power! Jack unleashes its full-force Z-Move! Orbs full of a strange power whirled around Jack's borrowed body in a circle. The very atmosphere of the place seemed to change as this happened. Then, Jack flew upward, with the orbs following suit, flying in a pair of spirals- a double helix- before converging at a point just above Jack's head. Every orb of energy gathered in there to form one big ball of Mew power, and with a loud cry, Jack sent that energy hurtling down towards a rightfully terrified Hitmonchan. The blast from the impact not only knocked Hitmonchan clean out, but caused a weird terrain to form on the battlefield as a result. "Whoa," Keith murmured. "That sets up Psychic Terrain, too! That's awesome!" "Yeah, well, we ain't done here!" roared the Diggersby's Trainer. "Use Quick Attack on the Ditto!" "Magmortar, Mach Punch on the Meowth!" added the Magmortar's Trainer. The Hitmonchan-using Grunt had already withdrawn his fallen Hitmonchan and fled. Keith simply smirked. "Everyone use Hone Claws," was all he said. And indeed, as everyone did this, the strange energy in the terrain seemed to prevent Diggersby and Magmortar from moving- they couldn't use Quick Attack and Mach Punch in the Psychic Terrain! "Oh, no!" groaned the other. "Oh, yes!" Keith grinned. "Kyle, Fire Lash! Jack, Zen Headbutt!" "Mor!" exclaimed Kyle, whipping Magmortar with his flame-covered tongue once more. "Mew!" squeaked Jack, ramming headfirst into Diggersby. Both moves did great damage- bolstered not only by Hone Claws, but in the case of Fire Lash, the fact that Kyle had used the move earlier on Magmortar, crippling its Defense from early on in the fight, and in the case of Zen Headbutt, the fact that there was Psychic Terrain present to further power it up. "Let's wrap this up!" Keith grinned. "Meowth, use Fury Swipes!" "Dat's right!" Meowth grinned, claws already brandished as he lunged forward, swiping and scratching at Diggersby and Magmortar simultaneously. This was the straw that broke the Numel's back, knocking them both out at once. The remaining Grunts were just as quick to withdraw their Pokémon and take off as their Hitmonchan-using coworker was. With the grunts dealt with, Keith looked to his Pokémon. Kyle and Meowth looked alright, but Jack turned back into his normal self, panting heavily- evidently, pulling a stunt like that had really worn him out. Keith withdrew his Ditto, then turned to Persephone's sister. "Now then, I believe you were next?" he remarked as Meowth and Kyle stood ready to fight. Last edited by Missingno. Master; 03-24-2019 at 01:18 PM. Thats nothing compared to my power insufficient little fool!" Diana stood up and pointed at you, and her Gothettlle jumped into action, throwing Meowth against the wall with her Psychic powers. "Do you really think you have what it takes to fight an admin like me?!? - she brandished a Key stone and squeezed it in her hand, a bright light enveloped her and her Gothetelle. A mega evolution that this world had never seen the likes of, at least known to those currently viewing the bond resonating between the Purity Admin and her pokemon. How could someone who was now twisted and ecil have such a bond that could propel their pokemon beyond evolution to mega evolve? But happening it was and a sight to behold it was indeed for Although as convoluted this evolution may be, it was still breath taking to witness. The Newly evolved Gothetelle stepped forward towards Keith, and surely he coukd feel the power radiating off of her. She raised her hands and began to power up for a strike upon Keith himself. Diana was unimpressed by Keith's defeat of the grunts, confident that her power was far greater. Her Gothitelle jumped into action at that point, telekinetically slamming Meowth into the wall. "Oweee..." Meowth groaned. Keith did not look worried as she questioned whether Keith had what it took to take on an admin like her. The Key Stone, on the other hand, that concerned him somewhat. Especially since she went on to use it to do something nobody in this universe had ever done before- to Mega Evolve a Gothitelle. Keith frantically consulted his Pokédex, but the screen displayed naught but question marks, and for some reason, three types- Psychic, Dark, and Ghost. The word "Ghost" was flickering slightly, but besides that, it looked as though the device was trying to display three types for one Pokémon. Kyle was still there! The Heatmor stood defiantly between Keith and Mega Gothitelle, glaring up at the latter. Keith grinned now. He couldn't help it- with Kyle to battle beside, they couldn't go wrong. "So you were asking if I think I have what it takes? No, I don't think I do; I know I do. Or rather, that we do," he added as he and his Heatmor exchanged simultaneous nods. "You think you've seen us at our full power against those piddly grunts you threw at us? Don't make me laugh!" A quick glance shared between Trainer and Heatmor told them both it was time to kick things off. "Kyle, use Flamethrower!" Keith commanded. "Heeeeeaat... MORRRR!" Kyle bellowed, unleashing a stream of flames from his mouth straight towards Gothitelle. Diana took a few steps out of the flames range and nodded to her pokemon. Gothetelle took the flames and with her hands she parted the stream of fire into to using telekinesis. She then picked up items around her and threw them into Kyle, it was mostly pyshock improvised though and probably didn't do much but to allow Gothetelle to take advantage of the distraction. She picked up Kyle with telekinesis and threw him up into the ceiling, " Do you really know Keith Masters? Are you one hundred percent sure of that power? That bond between you and your Pokemon? Diana taunted you, pleased with herself, as she was stallig for time. Outside of your battle Drake fought with Persephone, Having taken down at least the other four grunts it was now just him her, Wolfe and her Pokemon. A zoroak by the looks of it. And Drake seemed to be slowing down, taking more and more moments to catch his breath. At some point during the battle his clothes had ben ripped to look as if he were mauled, but very few injuries could be seen if at all. His skin was covered in a red layer of fur and his eyes glowed green. Wolfe looked as he did when you fought him earlier, Bipedial and eirily human like, or more like what a werewolf could be considered. Gothitelle fought back against the flames, parting the searing stream with psychic power, before using said psychic power to throw various items at the Heatmor, an improvised Psyshock of sorts. It didn't do much, but it served as a distraction, which was just what they were after- now, Gothitelle was able to pick Kyle up telekinetically, and slam him into the ceiling, all while Diana taunted them both, questioning whether Kyle really knew his Trainer, whether they were sure of their power, of their bond. But it was Diana and Gothitelle who didn't know them well enough. Didn't know what they'd been through together, of the adventure through the depths of Mt. Aduro that tested them both, of the battles that forged an unbreakable bond between the two of them. You don't just team up to take down a megalomaniacal volcano god and not end up best friends afterwards, after all. "Do you really know us?" Keith retorted, not a trace of doubt in his voice. "Mor Heatmor!" Kyle added, equally confident. "Now let's show her, Kyle!" Keith added. Nobody was sure what happened next. Keith's vision blurred; for a split second, he almost thought he could see the battle from above, almost as though he was seeing through Kyle's eyes. There was the most curious sensation throughout his body- he felt more in tune with Kyle's feelings and thoughts than ever before. At the same time, a swirling pillar of flames erupted from ceiling to floor, obscuring Kyle from proper view, but as he forcefully broke free of the psychic hold and landed nimbly on the floor (which Keith felt in his own feet and legs), anyone with the ocular fortitude to try and see into the flames could tell that something seemed different about Kyle. Something about his torso almost looked similar to Keith's shirt and jacket, he almost looked like he was wearing a cowboy hat like his Trainer's, and the swirling pillar of flame almost seemed to be originating from Kyle's pipelike tail. Keith grinned confidently. He had no idea what had just happened, but he knew, and he knew that Kyle knew as well, that this phenomenon had something to do with the powerful bond they shared. "Kyle, Fire Lash!" he commanded. "Heeeeeat!" Kyle screeched. With Keith moving in the same way at the same time, the Heatmor prepared to whip Gothitelle, not with a flaming tongue, but with the entire pillar of swirling fire, which appeared to be fully under his control. Outside, Drake had taken out the grunts and was battling just Persephone now. Keith could see that he and Wolfe were doing alright, but right now, he couldn't focus on much more than his own battle, so while he vaguely wondered what was being said, straight to the back of his mind it went for now. Right now, he and Kyle were both focused on the same thing. Storm grinned and started eating the pancakes. "Questions...Well, I'll be glad to answer any you may have." Rolu blinked and said: "Eggs appear when two pokemon love each other..."
"It...Might be better if I don't know." "...Have you ever seen real eggs?" Drake nodded, then he sat across Storm and unfurled a list he had tucked away in his pocket. Well, I wanted to see if you have any plans to make a Base of your own and if you wanted my help in making one.
" I have seen them be hatched and stuff, but not how they are made"
But it was Diana and Gothitelle who didn't know them well enough. Didn't know what they'd been through together, of the adventure through the depths of Mt. Aduro that tested them both, of the battles that forged an unbreakable bond between the two of them. You don't just team up to take down a megalomaniacal volcano god and not end up best friends afterward, after all. While you were fighting Diana, Drake was taking on Persephone, and things were tough for him.
" YOU ABANDONED US, You LEFT us there to die and rot in that place!" Persephone was screaming at him and shaking with rage, speaking about an incident that Drake remembered all too well. That mission ended horribly and like angels, the sisters fell to the dark side. Drake burned in the inside and outside, not out of embarrassment, but shame for how he couldn't save them then, but he didn't let that stop him from trying to save them now, and he pushed back against Persephone with all of his might. Diana, actually took up a look of fierce determination and started to really get into the fight with you. It looked as if she wanted to crush you under her foot and that she would have no problem doing it. That is if you weren't as strong as her or stronger.